Looking for a last minute holiday gift that will impress every fitness fan on your list? 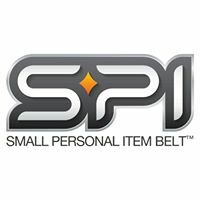 Look no further than SPIbelt Flex! It is SPIbelts most innovative and advanced SPIbelt yet! Whether running, walking, working out at the gym, or even cleaning house or gardening - the SPIbelt is the perfect hands free solution to hold your phone, other small valuables, and allow you to listen to your favorite tunes. 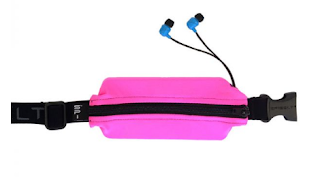 It holds your phone for a hands-free workout and has a headphone port so you can easily listen to music. The Flex buckles at the front so it’s comfortable to wear while you’re lying or sitting down. As with all SPIbelt products, the Flex is lightweight, bounce-free, and can be worn under or over clothing. Keep reading to learn more. Lift weights, run on the treadmill, go for a job, get your Zumba on, listen to music while youdo it. The SPIbelt™ Flex is with you at every move holding your car key, credit card, phone, ID, lip balm, whatever small items you need with you while you sweat. Lift weights at the gym. Get your abs burning with core work on the mat. Listen to music while you walk or run. The SPIbelt™ Flex is with you at every move. It holds your phone for a hands-free workout and has a headphone port so you can easily listen to music. The Flex buckles at the front so it’s comfortable to wear while you’re lying or sitting down. As with all SPIbelt products, the Flex is lightweight, bounce-free, and can be worn under or over clothing.